The pitter patter of rain fell gently on Rowland Elementary School. A poignant reminder to the Rowland Heights students attending a water awareness class inside. The Youth Science Center in Hacienda Heights returned to the campus on Jan. 24 to teach the fifth-graders about water conservation and usage. Read more in Rich Irwin’s story at WATER. We’ve all heard of the Grand Design, leaving us to wonder what kind of world we would design if we were given the opportunity. 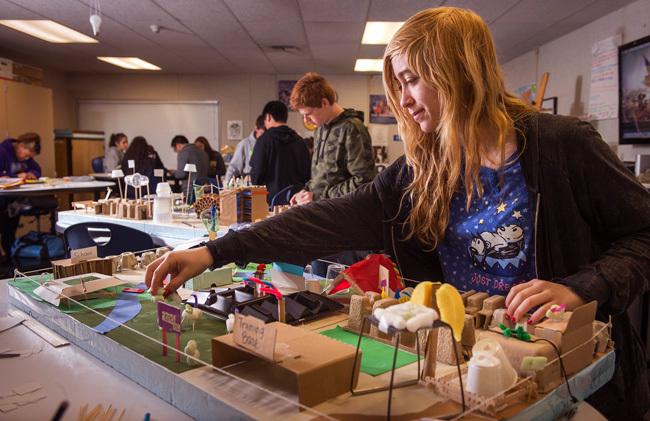 Sophomores at Walnut High are taking the time to design their own domains in the school’s new Academic Design Program. It’s part and parcel of the program that asks students to learn through hands-on problem-solving. The teens aren’t given the answers to their worldly problems, they have to uncover the answers on their own. And so it was with a little trepidation that we stepped into their domain last week. School officials say 75 sophomores volunteered for the innovative program that has proven successful in other Walnut Valley schools such as Chaparral Middle School in Diamond Bar. In what promises to be one of his most significant policy moves this year, Gov. Jerry Brown will pursue a sweeping overhaul of the way California schools are funded, changing the way money has been allocated for four decades. Brown wants to simplify funding streams, giving more local control to school boards and more money to districts with low-income students and those who don’t speak English fluently. Walnut Valley Unified, which is already suffering from a $4.7 million deficit and can’t afford to pay its bills, could face more funding shortages under the new proposal. 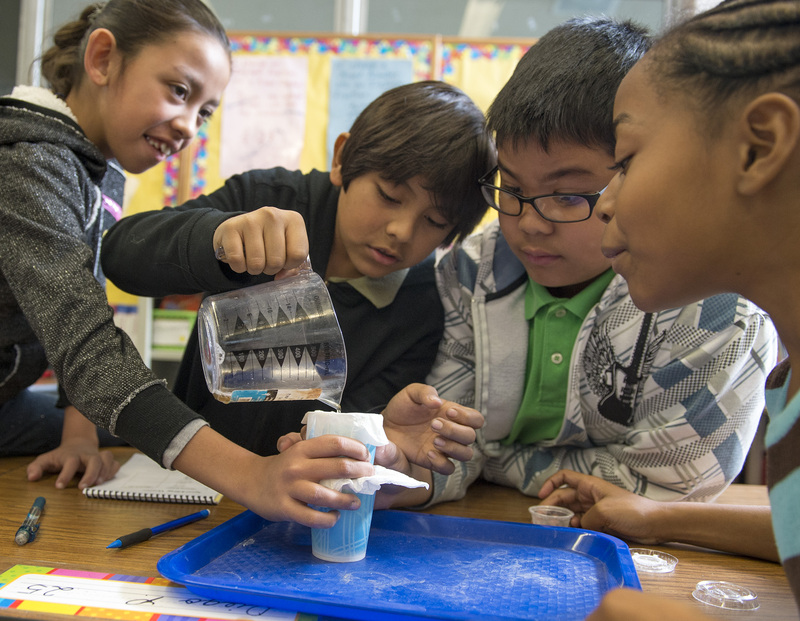 “Because Walnut Valley has relatively few low-income students or English learners, on the surface it would appear that the district would not benefit from the new formula proposal,” Superintendent Dean Conklin said. The spring session for Rowland Adult and Community Education begins Jan. 22. Registration for English as a second language or citizenship takes place in the classroom at the first class. Registration for the community education classes begins Jan. 7. Some new classes offered are Internet basics and floral design. Other classes are real estate principles, international folkdance and line dancing. Learn to become a pharmacy or phlebotomy technician with Boston Reed College. For information, visit its website at www.race.rowland.k12.ca.us or call 626-965-5975.